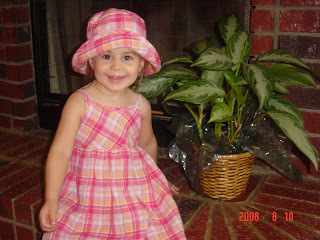 Just had to post a couple pictures of Avery in this adorable dress and hat set. 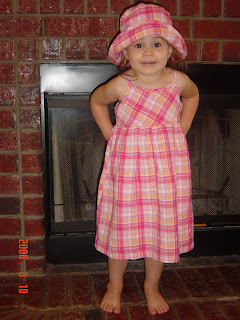 It used to be her cousin Ashley's who wore it about 6 1/2 years ago when she was Avery's age! What a grown up girl she is getting to be!! !